Yin & Yang is a light, minimalistic, simple to use portfolio theme. Quick to setup and easy to customize, thanks to the powerful admin panel, and the detailed documentation, Yin & Yang is the perfect theme for showcasing your most important work directly in front of your potential clients. 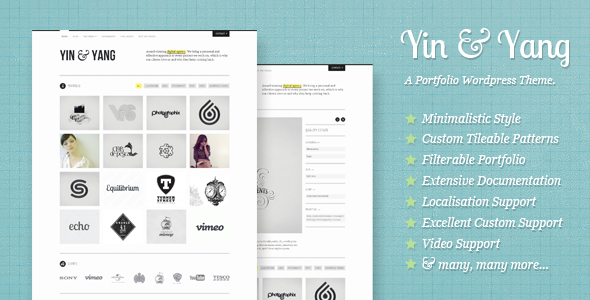 Share the post "Yin & Yang: Clear and Slick WP Portfolio Theme"